Reminder: Mordles on sale tonight! The jumbo Mordle is a ton of fun, and at $15 it’s pretty reasonably priced for an indie toy of this size and quality. In 1985, the classic obscure Ideal Toys property ROCKS AND BUGS AND THINGS cemented itself into the minds of 1980s children with gruesome box art and a play pattern involving the consumption of the mischievous Mordles figures. 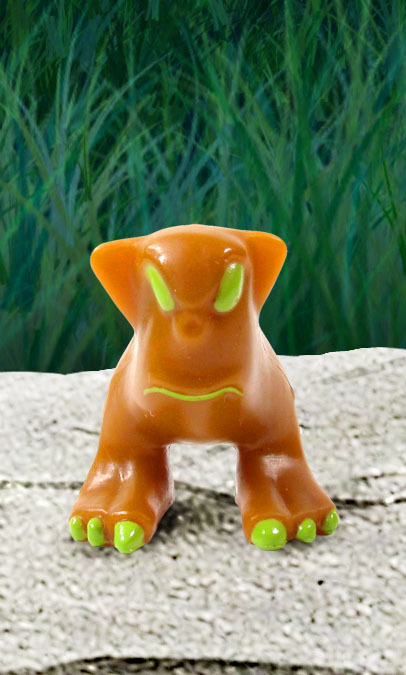 In June 2013, Toyfinity Toys brought back the Mordles with a vengeance, successfully launching a reproduction of the original ten Mordles with improved plastic and paint applications in six brand new editions. the SECT OF RAND Edition, bringing back the classic red Mordle color with all-new black paint apps for extra demonic presence! Also features the character of RAND. the UNDERWORLD Edition, making black Mordles available for the first time! the EXPLORER Edition, introducing ZINTAR THE EXPLORER MORDLE, a key character in the Mordles mythology. – and finally, the IMBALANCE OF BLOOD Edition, featuring the debut of the all-new JUMBO MORDLE. When RAND consumes other Mordles, he grows to titanic size! Clocking in at just under four inches, this vinyl figures features three pieces and is 100% compatible with the vinyl figures sold by Onell Design as part of the GLYOS SYSTEM (www.glyos.com) series of toys. 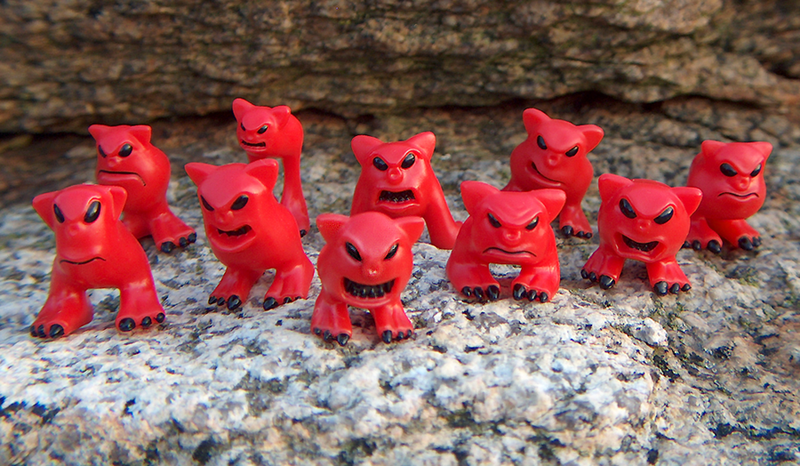 The Sect of Rand and Underworld Editions each contain a set of ten Mordles, available at an all-new lower price point of $10 per pack! The Explorer Edition contains one single-pack Mordle, and is available for $1. And the Imbalance of Blood Edition is just $15. Another Toyfinity Toys franchise, ROBO FORCE, had a successful debut at NYCC, with the online allotment of the Genesis Edition selling out within three minutes last month. With a redesign by Matt Doughty and featuring 100% official Glyos compatibility, the new Robo Force kit provides fans a 41 piece kit that can be reconfigured into dozens of unique robots including the classic Robo Force characters MAXX ZERO, HUN-DRED, SENTINEL THE PROTECTOR, and ENEMY. The next two editions will debut this December, exclusively at Toyfinity.com. In the meantime, Toyfinity Toys has debuted the all-new Robo Force comic, featuring art by Jerzy Drozd. 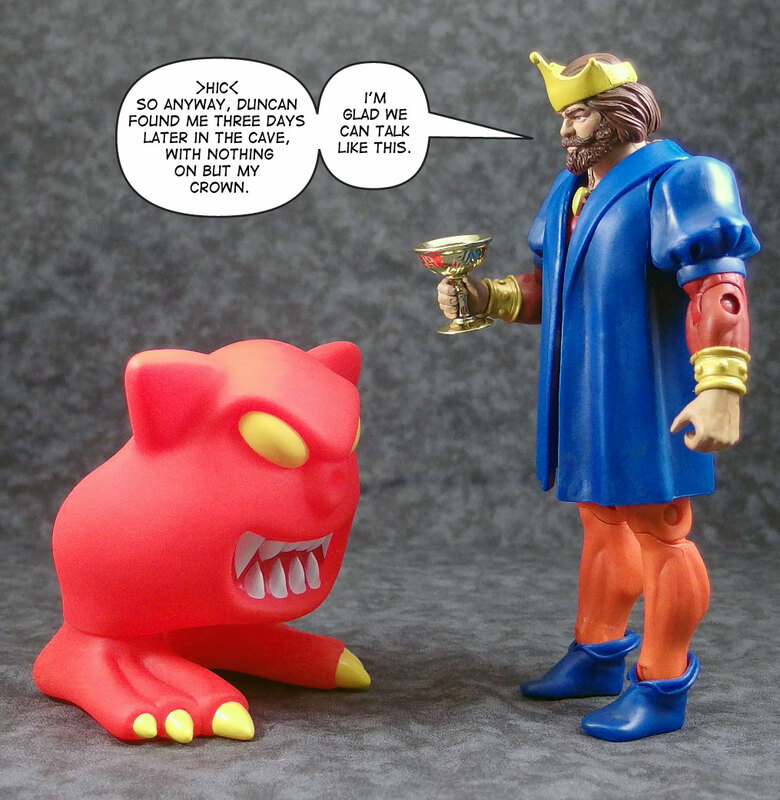 Follow the all-new adventures of Maxx Zero and Hun-Dred at Toyfinity.com with weekly page updates. Mordles and Robo Force are the first two franchises to see release from Toyfinity Toys. Coming in 2014 – the return of the MANGLORS! Keep your eyes on the Toyfinity blog (http://toyfinity.blogspot.com/) for all the newest news and updates. I got mine through Club Mordle. The package was delayed because my mail carrier decided he just didn't feel like delivering any parcels toward the end of his route (his words). Pingback Mordles Now Available, Including Jumbo Vinyl! What is Club Mordle? Sounds awesome! I just ordered the sect of Rand set. This is my first Mordles purchase so I'm pretty excited! The club lets you preorder, and includes some freebies.